What is a Rope? Well..It’s a snake. An ordinary poisonous snake. Doesn’t do anything special. Doesn’t spit venom, breathe fire or shoot lasers out of its eyes. It just slithers back and forth being merely an obstacle for our hero Link. The only thing extraordinary about Ropes that sets them apart from other snakes are their red eyes which compliments their gold skin. That’s pretty creepy; given how poisonous snakes are already genuinely creepy and fearsome. They really pose a threat when in groups. And just like in real life; handling a group of poisonous snakes is worse than handling just one. So I drew the idea of Link going through one of the many dungeons he treks through; and coming upon a huge group of Ropes slithering about. Their eerie red eyes shining in the darkness and then rearing up bearing their dangerous looking fangs. And with only a candle lighting the area; they are just as threatening in the dark. I don’t think there’s an area in the original game where a bunch of Ropes gather like this guarding the Master Key. But I wanted this to be more than just a picture of a Rope or two. I wanted them to look more threatening as they gang up on Link. 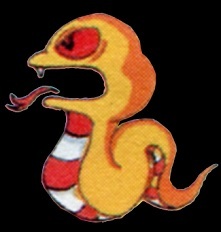 Ropes are not actual ropes, but golden red-eyed snakes since the original Legend of Zelda. 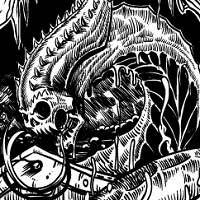 They slither in dungeons and are a classic trap for intrepid heroes to encounter. 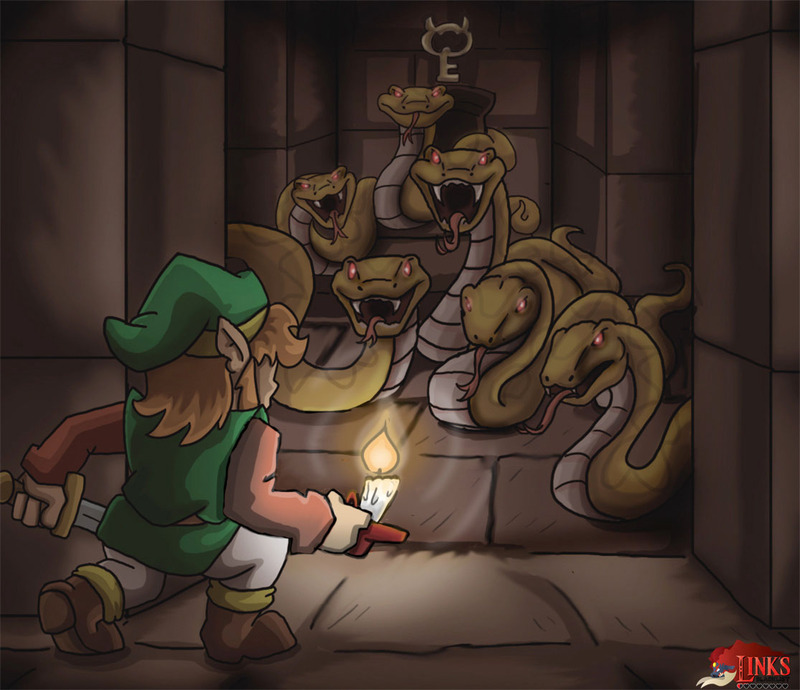 Luckily Link is no Indiana Jones and does not frighten easily of these snakes. A good slash or zap with the sword usually makes short work of them since they are among the weakest enemies usually. Their strength comes in numbers as they hope to defeat Link by overwhelming him. 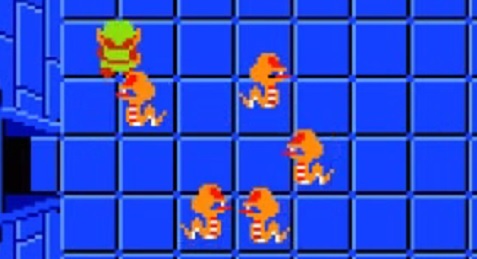 The graphics of their fangs suggest they’re poisonous, but they just seem to harm Link the same as any other enemy. They were returning in almost all Handheld Zelda games so far.